We welcome you to host a Coffee Fellowship following the Sunday Divine Liturgy. It is an opportunity to promote fellowship among our parishioners and visitors to our community by offering hospitality and refreshment. You may celebrate a special occasion in your family’s life (such as a nameday, birthday, anniversary, the memory of a loved one, graduation) or for no reason at all. For more information, contact Lucia SSPP.COFFEE.FELLOWSHIP1@gmail.com. Our Dynamis ministry provides a place of strength, fellowship, and enrichment, both spiritually and socially for the senior members of our parish. Events are balanced between activities at the Church and outings to local places of interest. Please take a look at our calendar for upcoming events. For more information, contact SSPP.DYNAMIS@gmail.com. The Garden Club ministry is made up by parish volunteers to promote beautification and conservation of our parish landscape including planting trees, shrubs, plants, and landscaping projects. Each spring, we evaluate our grounds to determine projects for the spring, summer and fall. This includes replacing trees and shrubs damaged by winter, landscaping projects, planting of seasonal plants, etc. In May, we sponsor a planting session and ask all Sunday school students to provide and plant a summer plant. This takes place during Sunday school class. We also sponsor coffee fellowship after Sunday services and other outreach activities. Should you like to join our ministry, participate in a project or have questions, please contact the garden club ministry leader; Susanne Chakos at SSPP.Garden.Ministry@gmail.com or by phone at 312-576-2089. 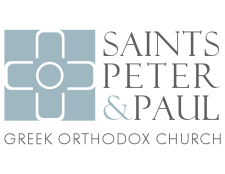 The Orthodox Couples Club (OCC) is a group based around ministering to the married couples within our community. We split our time between large fellowship activities and small break out groups which meet in members homes. On top of ministering to the specific needs of married couples, one other goal of the OCC is to take a parish of over 600 Families and make it feel much smaller by bringing couples together in our small group settings. For more information, contact SSPP.OCC@gmail.com.